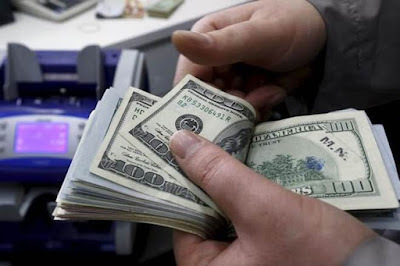 The US dollar fell against most other major currencies, as investors thought Britain and the European Union (EU) would reach an agreement before Brexit came into force. In late New York trading on Thursday, the euro grew at $ 1,1405 to $ 1,138 during the previous session, and the British pound rose from $ 1,280 to $ 1,22876 at its previous session, the Xinhua news agency reported. The Australian dollar dropped from $ 0.7264 to $ 0.7253. The US dollar bought a Japanese yen of 112.95, less than 113.07 Japanese yen from the previous session. The US dollar dropped from 0.9944 Swiss francs to 0.9943 Swiss francs and ranged from 1.3254 Canadian dollars to 1.3195 Canadian dollars. Prime Minister Theresa May said on Thursday afternoon that he will do all he can to give British "controlled" work to Brexit. In his statement at the House of Representatives it can be said that the draft agreement reached by the United Kingdom with the EU, which is good for both sides, "stops traffic once and for all". Britain and the European Union summit adopted a text Wednesday reflecting their future ties before Sunday's summit, the media said. Euro and British pound jumped after the news, putting the US dollar under pressure.